The AS Miramis enterprise was founded in Tallinn in June of 1996, at 13 Suur-Sõjamäe. The principal activity of AS Miramis is providing services in warehouse processing, storing, and customs clearing, as well as in conducting container shipment, storing and maintenance. AS Miramis is situated in the immediate vicinity to Ülemiste railway station, the airport, and it is convenient for the approach of motor transport. AS Mirami’s storage area is 42 000 м2, where five covered storage rooms with total area of 6 000 m 2 are situated. The territory has three railroad approach lines and two loading overpasses. 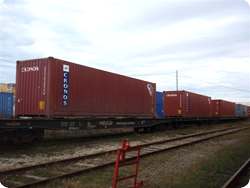 It allows simultaneously conducting stevedoring and cargo operations from carriages and motor transport. For providing clients with services of container transportation, processing and maintenance, AS Miramis has its own container trucks and container terminal with the area of 20 000 m2, owing to which our company can accept and store simultaneously up to 800 units of empty and 150 units of loaded containers. 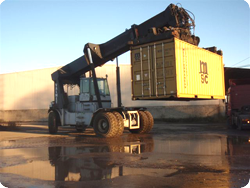 For container maintenance there is a container depot and specialized machinery. All mentioned above allows offering a client a full range of services in cargo shipment, processing, storing, and execution. It also ensures prompt and high quality service.